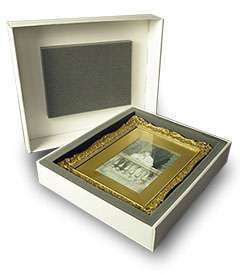 These boxes are ideal for museums and antiques as they contain no adverse materials. Acid-free board uses specially formulated papers that are suitable for addressing the problem of storing and preserving documents for extensive periods. Acid-free paper is either ph neutral or has a ph value of 7 or higher. This material is produced from virgin fibre and is FSC® accredited and is also 100% recyclable. The material is produced with all liners including the fluting being produced from the same grade.